REACH Prep, a Stamford-based non-profit organization that provides access to educational experiences to help underserved, high-achieving students graduate from top colleges, will host its Annual Benefit Luncheon on Monday, April 23 at the Hyatt Regency in Greenwich at 11:30 a.m.
Joanne Berger-Sweeney, President & Trinity College Professor of Neuroscience, is the feature speaker at this popular event that brings together more than 700 guests from Fairfield and Westchester counties to celebrate the achievements of REACH Prep Scholars and the independent schools they attend. 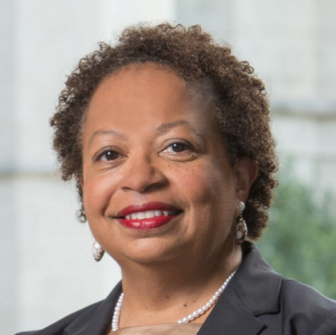 Berger-Sweeney is the first woman, first person of color and first neuroscientist to be president of Trinity College. Berger-Sweeney continues to inspire countless young people through her voice and achievements. She is a role model to many. Previous speakers include Sonia Manzano, Spike Lee, James McBride, Jorge Ramos, Dr. Ruth Simmons, Cory Booker, Neil deGrasse Tyson and Bonnie St. John. Student-speakers include Jaimie Lopez, a star student-athlete and senior at King School, and Olivia Craig, a standout 7th grader at Rye Country Day School. Heather Mosley, Lauren O’Shaughnessy, Liz Roddy, Toni Subramaniam, and Lauren Walsh will co-chair this year’s luncheon. Event tickets are available at www.reachprep.org. 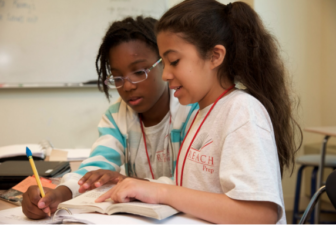 Founded in 1994, REACH Prep helps motivated and talented Black and Latino students from underserved communities in Fairfield and Westchester Counties and the Bronx gain admission to and thrive in rigorous independent schools. Upon placement, students benefit from a 12-year educational continuum, including comprehensive academic enrichment, leadership training and supplementary individual and family guidance, which prepares them to succeed at and graduate from competitive colleges. REACH Prep’s model of access to high-quality education along with sustained, comprehensive and long-term support achieves college success rates that defy trends and national statistics.